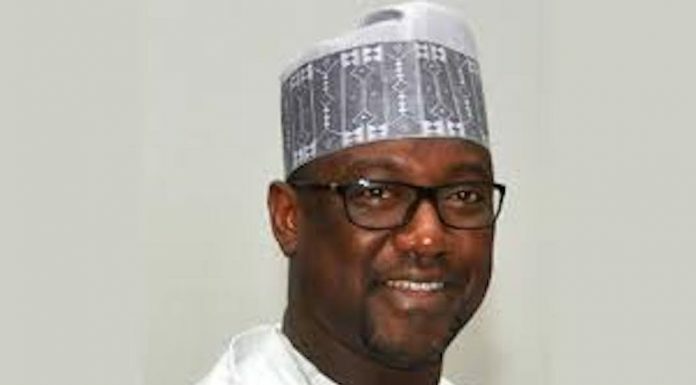 The Niger State Governor Abubakar Sani Bello, the Etsu Nupe and Chairman of the Niger State Council of Traditional Rulers, Alhaji Yahaya Abubakar, and no fewer than 20 prominent indigenes of the state have stormed Aso Rock to plead with President Muhammadu Buhari to intervene in the deplorable state of federal roads in the state. The delegation, which cuts across the political divide of the state, also included former Governor Muâ€™azu Babangida Aliyu, former military governors, present and serving ministers and top government officials. The deplorable state of the over 2,150 kilometres of federal roads in the state has become a serious concern to both the government in power in the state and a point of reference by the opposition political parties. The government had to place some restrictions on the use of a part of the roads by heavy duty vehicles to enable some repairs to be carried out on certain portions of the roads to make it motorable. A statement by the Chief Press Secretary to the governor, Alhaji Jibrin Baba Ndace, said a former military administrator of Bauchi State, Major General Mohammad Garba Duba (rtd), was the spokesman of the delegation at the meeting with President Buhari last week. â€œNiger State is having a lot of problems with regards to security along our major roads. This include Jebba-Mokwa-Tegina-Birni Gwari road up to Kaduna. Trailers and tankers have abandoned that road because of lack of security. Most of these vehicles now pass through Mokwa-Bida-Minna road to Abuja or to Kaduna. The state, according to Ndaceâ€™s statement, also sought for the quick completion of Baro Port and the 700 megawatts Zungeru Hydro Electricity Dam, saying that the quick completion of the projects would â€œgo a long way to boost the socio-economic activities of the stateâ€. The Estu Nupe, Alhaji Abubakar, on his part reportedly commended the president for providing â€œthe much needed leadership for the country at this critical and crucial time in our nationâ€™s historyâ€. In his remarks, President Buhari was said to have expressed disappointment with the National Assembly for the delay in the passage of appropriation bills, which he said, â€œhas slowed down completion of projects across the countryâ€. The president, who agreed with the delegation that infrastructural development propels the socio-economic activities of any society, however assured his audience that his administration would pay more attention to the stretch of 2,150km federal roads in the state. The president also reassured the delegation that the administration would remain focused on securing lives and property, fighting corruption and stimulating the economy for more progress.